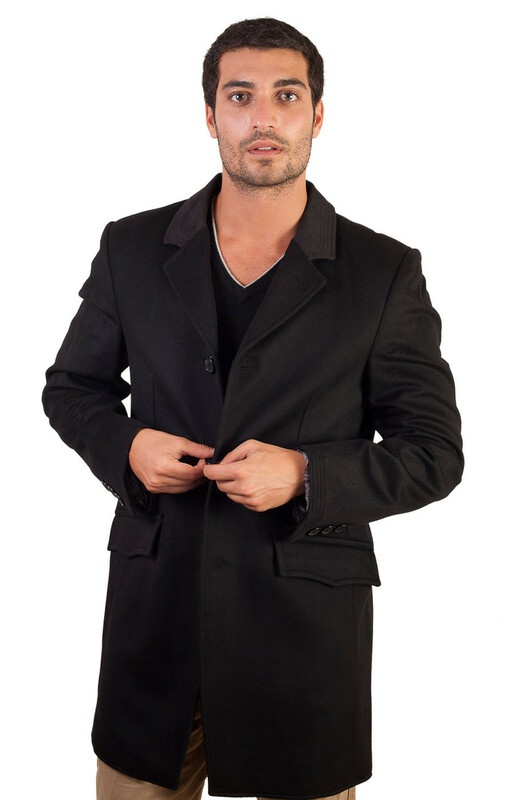 Elegant curved cashmere & wool coat, closing with 4 buttons on the front, two front flap pockets fantasies, 1 outside fancy leather buttoned pocket and 2 internal pockets. Man mantle notched collar with cutouts on the front. Center back slit crossing a buttoned martingale. Beautiful finishes for this winter coat fully lined. Sleeves finished with 3 buttons.